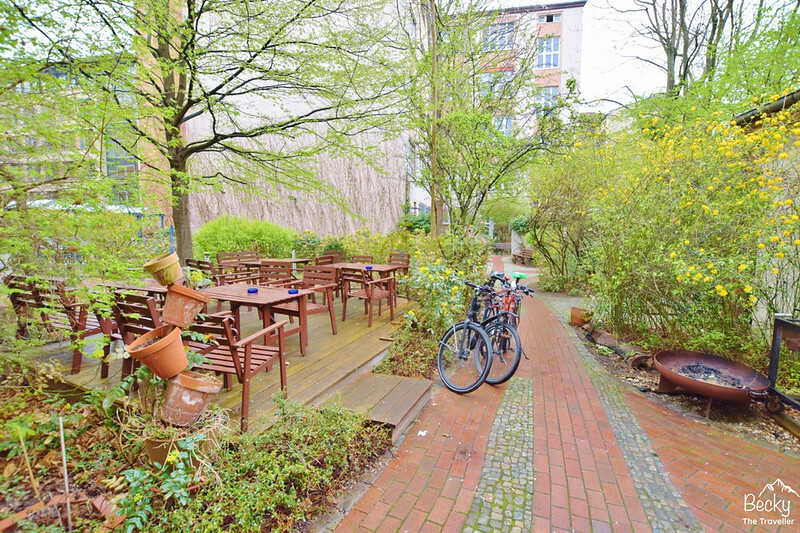 Are you a solo traveller and looking for the best hostel in Berlin? 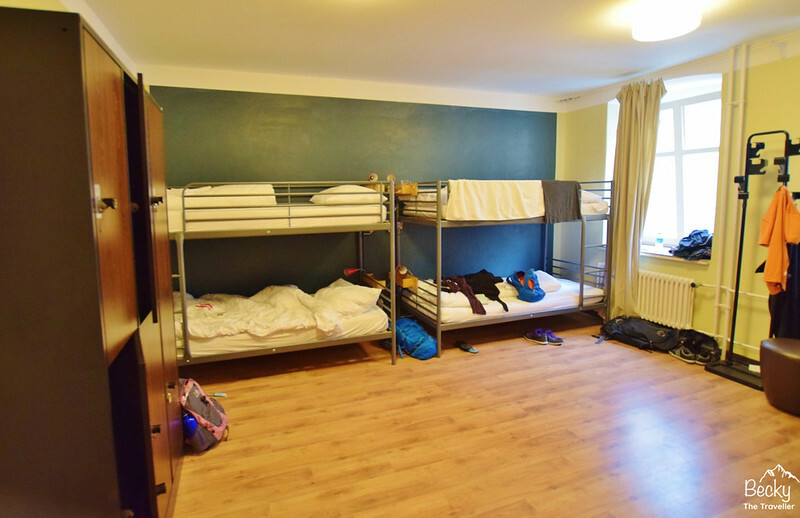 Well, it might take you a while as there are a lot of hostels in Berlin to choose from! There are budget hostels, party hostels, independent hostels and everything in between! If you’re struggling to find one that suits you then read about my stay at EastSeven Hostel in Berlin. 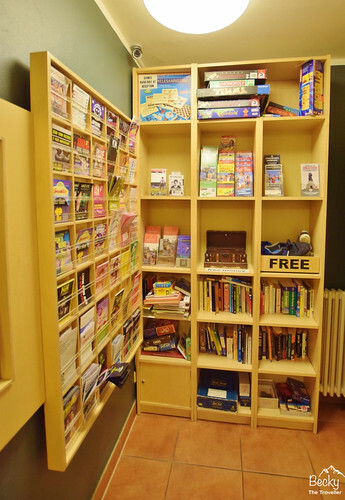 As a solo traveller, I love a hostel that is great for socialising but also not so big that you feel lost as soon as you walk through the doors. If that’s the accommodation you are looking for on your Berlin trip, then read on. 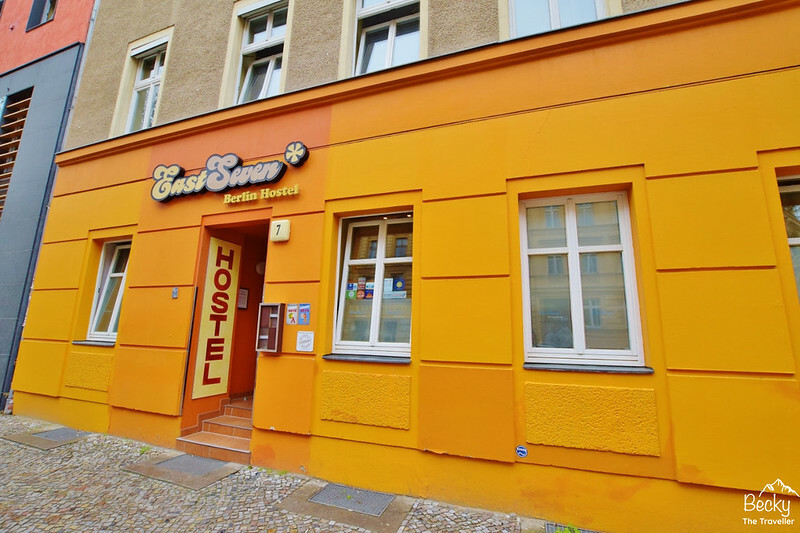 Here is my full review of ‘EastSeven Hostel Berlin‘. 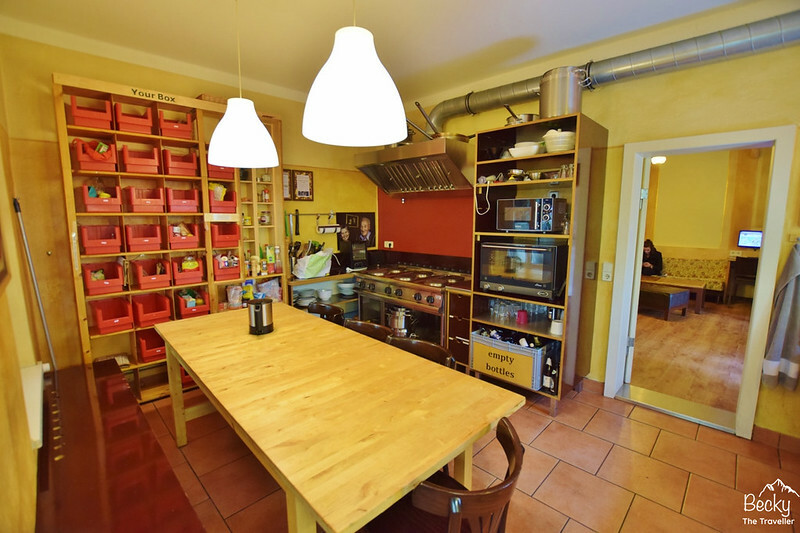 EastSeven Hostel is on the border of two popular districts Mitte and Prenzlauer Berg. So that means plenty of options for food and drink to try out. Walk in both directions and you’ll soon come across a Vietnamese or even Russian restaurant. It’s also walking distance to a lot of the main tourist sites so a perfect base for your trip if you want to see all (or as much as you can) of Berlin and close to the U-Bahn station ‘Senefelder Platz’ on the U2 route, easier to remember if you like the band! *Prices at range due to the day and time of year. All rates correct at time of writing. For latest rates visit their website. EastSeven Hostel has a lovely chilled vibe about the place. It’s friendly and welcoming but not in an intense, ‘leave me alone’ way. Firstly, this is NOT a party hostel, so if you are looking for a hostel with a bar, beer and parties all not you may as well stop reading now! But just because EastSeven isn’t a party hostel doesn’t mean that it’s no fun! I found the guests and staff lovely, you can buy a beer but no-one was rolling around drunk at any point. The hostel is relatively small, I’m actually not sure how many rooms but the social areas never felt overly crowded. Well, apart from when there was a joint cooking evening in the kitchen and everyone was helping prepare dinner. There’s something about free food that brings everyone out of their rooms in a hostel! The social area has a large corner sofa, along with a few other chairs which makes it a welcoming place, especially if you’re travelling solo. EastSeven Hostel is one of the easier hostels I’ve had to find. A 2-minute walk from Senefelder Platz, the closest U-Bahn station and you’ll come across a bright orange building that you simply can’t miss! The info sheet also includes the door code, which I didn’t read until after I had pressed the buzzer back into the building, oops! On arrival, my room wasn’t quite ready yet as I was early. But you can leave your bag in the storage room to save dragging it around with you. Once back at the hostel my room is now ready. Challenge one is getting into the room as the door is a little tricky, once you’ve sussed it out though it’s easy! It’s a spacious 6-bed dorm room on the ground floor, with plenty of room for your travel backpack next to your bed (or locker if you prefer). The only disadvantage of this is you’re at street level so you can hear when people are walking past at night (nothing a good pair of earplugs doesn’t fix – a hostel essential item!) Sadly, I’m last in the room which means I am stuck with a top bunk. I am sure I’m too old for climbing up ladders to bed haha. The bottom sheet is on the bed but you need to put your pillow and duvet covers on. Surprisingly there are even instructions on how to do this on the info sheet but these seem to make it look more complicated! I understand why hostels do this and it’s fine if you arrive at a normal time but if you’re late checking it’s a pain (especially on the top bunk!). My key to my dorm room also unlocks the shared bathroom opposite. A small but decent sized space with a toilet, shower including changing space and a sink with multiple mirrors and a little shelf. EastSeven Hostel was a great place to stay. I enjoy smaller more personal hostels, larger hostels have so many people you see a different face every 5 minutes. As a solo traveller, I found this a great hostel to stay at, it’s not too big but as an independent hostel it has a friendly and relaxed approach. I also like to options they have for free accommodation, handy if you’re travelling on a budget and great for socialising with fellow travellers. Simply, cook dinner for your fellow travellers and a night’s accommodation and a beer is all yours! In exchange for free food, you can ask others staying in the hostel to help out so you don’t have to do all the hard work. I offered my services washing up since I had a stupid cold and didn’t think to prepare food was such a great idea. 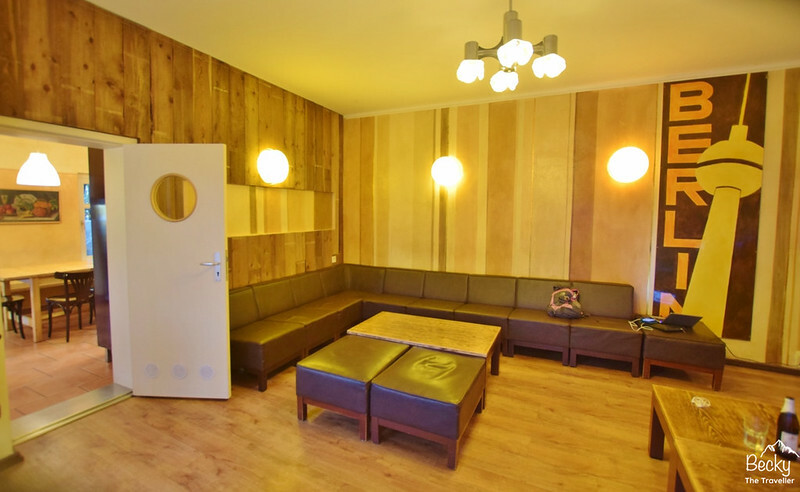 Would I stay at EastSeven Hostel Berlin again? Yes, it’s a clean, friendly hostel, with a lovely atmosphere too. It gets a tick on location from me too, I felt comfortable walking around at night on my own and loved the variety of restaurants and bars a short distance away. *I was a guest at EastSeven Hostel Berlin. However, all views and opinions are my own.